Given any triangle $\triangle ABC$, and given one of its side, we can draw two lines perpendicular to that side passing through its two vertices. If we do this construction for each side, we obtain the points $D,E,F$ where two of these perpendicular lines meet at the minimum distance to each side. These three points can be used to build three triangles on each side of the starting triangle. 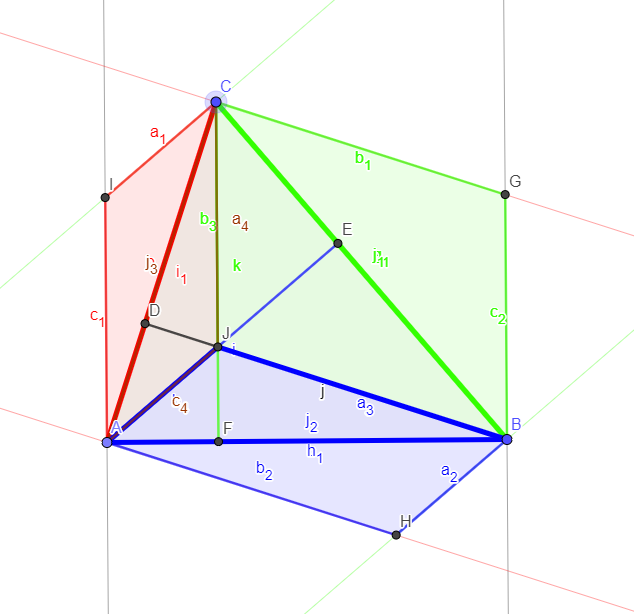 The sum of the areas of the triangles $\triangle AFB$, $\triangle BDC$, and $\triangle CEA$ is equal to the area of $\triangle ABC$. This is likely an obvious and very well known result. But I cannot find an easy proof of this. Therefore I apologize for possible triviality, and I thank you for any suggestion. Draw the orthocenter. You get three parallelograms which immediately provide the answer. The answer of Moti is perfect. 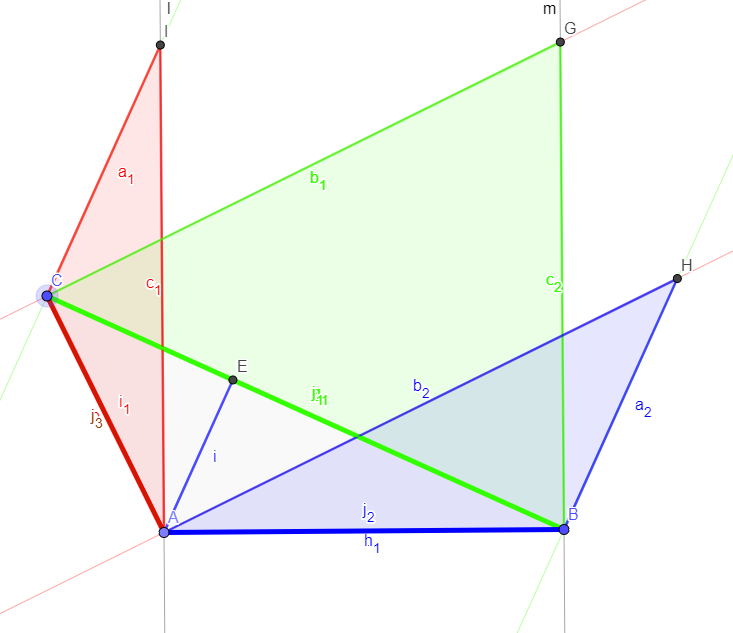 Note, though, that this also means that this property holds only if the orthocenter is inside the triangle, otherwise the external triangles overlap and the required property does not hold any more.